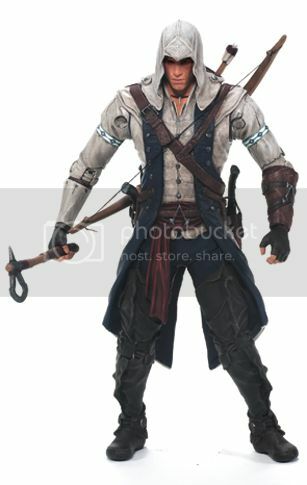 Dr Jengo's World: Pre-Orders for McFarlane's Assassin's Creed Toys anyone? 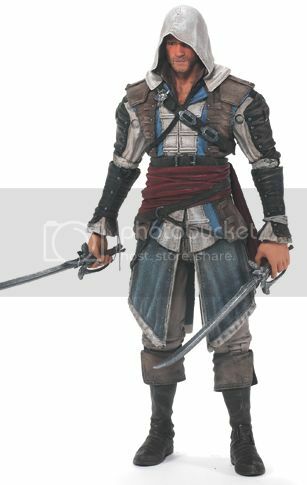 Pre-Orders for McFarlane's Assassin's Creed Toys anyone? 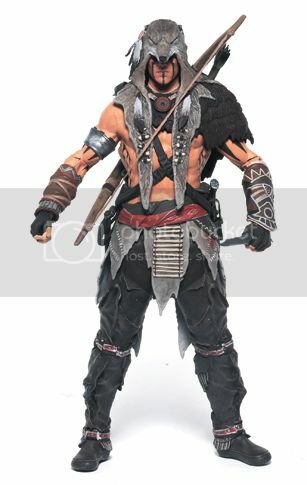 Just a quick question.. Is anyone interested in getting the soon-to-be-released Assassin's Creed Figures from McFarlane? A friend has managed to get hold of a supplier who can bring in the Assassin's Creed figures to Singapore. Each figure would cost us buyers, SGD$25. This looks like a pretty good deal considering if I buy them off online sites, they can come close to SGD$32 per figure. Can't seem to find these locally either. 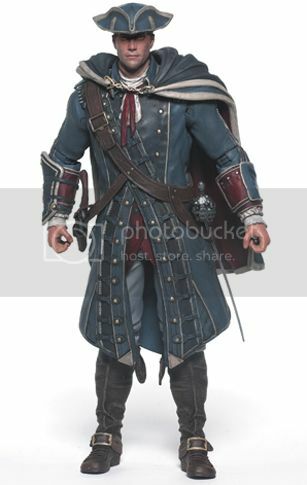 These are the figures coming in Series 1..
2 versions of Connor, one from the game itself and the other based on the alternate world in the Tyranny of Washington DLC. Then we have his dad, Hatham Kenway and his grandfather, Edward Kenway, assassin protagonist of Assassin's Creed IV: Black Flag. The figures are due to be released in late July-early August. Based on the $25 price, I'll definitely be getting it from my friend but I would like to extend this offer to all you readers as well. I'll also update this post accordingly. There isn't much time left for release so if you are interested, let me know as soon as possible. There will be a deposit required of $10. Buyers can do a cash-and-collect on the remainder of $15.